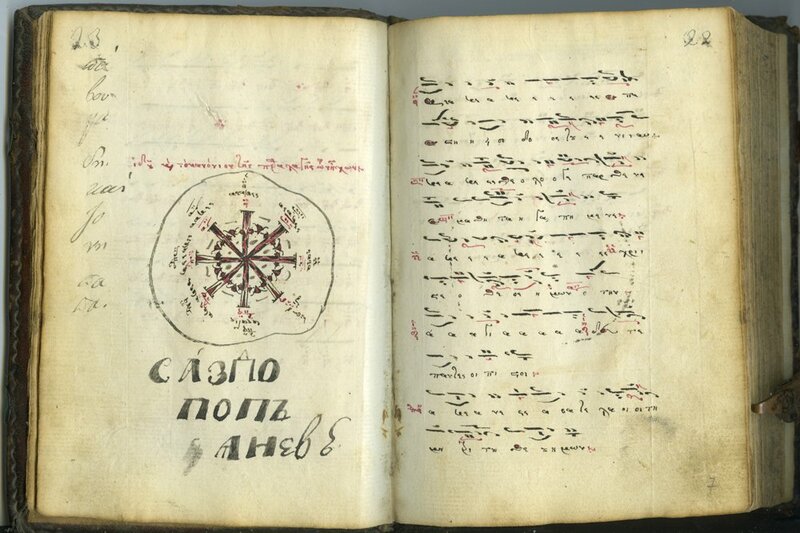 Description	 MS in Greek on paper, Serbia, 18th c., 150 ff. 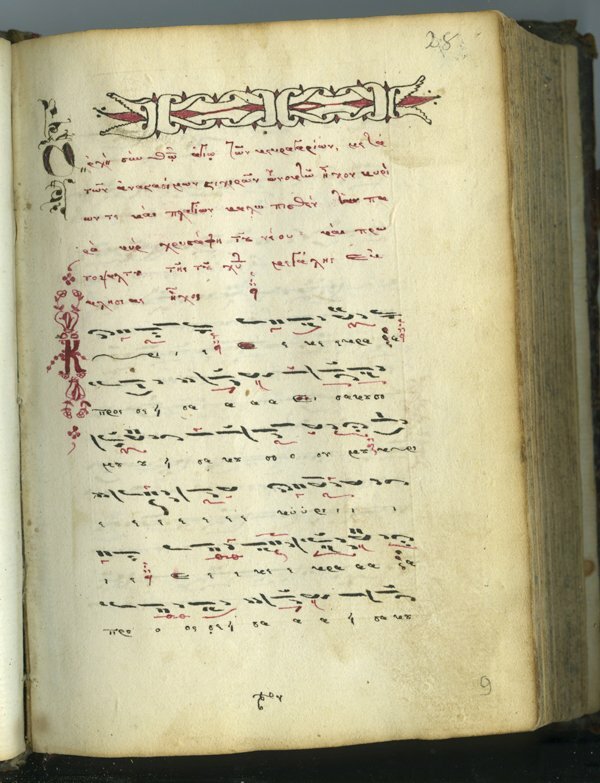 (complete), 16x11 cm, single column, (11x8 cm), 18 lines in a late Greek minuscule, headings in red, staffless Byzantine notation with pitch marks in red, 2-to-4-line decorated initials in margins, a half-page circular design of the 8 musical modes. Binding	 Mt. Athos?, Greece, 18th c., blind-stamped leather on wooden boards, sewn on 3 cords. Provenance	 1. A Monastery of the Holy Mountain, Mt. Athos, Greece? (18th c.); 2. 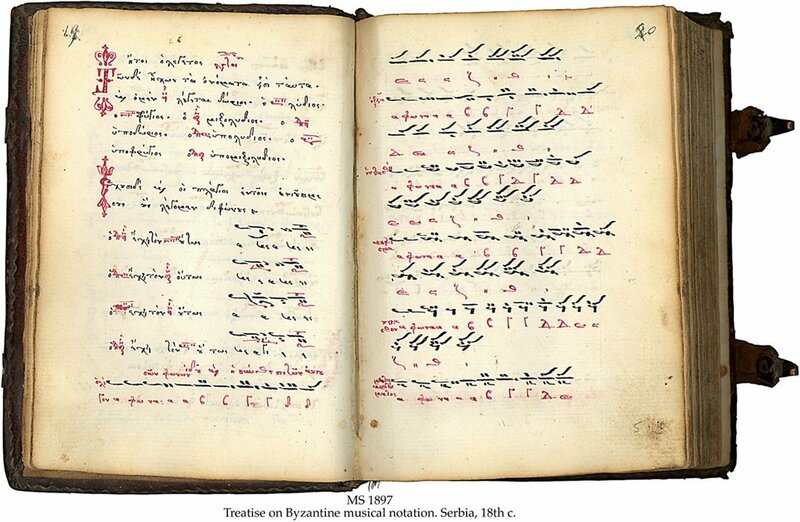 Pavougades and Jonas the priest, Monastery in Macedonia (19th c.); 3. Carla Signorini, Venezia (20th c.); 4. Jeremy Griffiths, Oxford. 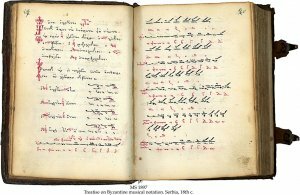 Commentary	 Johannes Glikeos lived in the 14th c., Peter Danilo in the 15th c., Chrisaphos Tuneu in the 17th c., and Peter Lampadarius in the early 18th c.